It is when you find yourself having difficulties balancing the energy of your chakra because the physical body. The blockage may be a result of injury, sickness, disease, or addiction to an unhealthy physical substance. This can impede you from making optimal use of energy. When you are tired, it may block your physical and as well as your mental capacities; usually distorts your perspective and not allowing you to function fully. Physical blocks can affect your feeling, you can become more bad tempered or impatient, which can impede your spiritual life by causing you to focus more attention to your physical condition. You can make sure you get enough rest. You can eat good nutritious food or have some form of treatment. You can get therapy to get advice and act on higher guidance. This happens when the flow through the energy channels in your body is being block. It can be a particular region in your body, which can cause it not to receive vital energies to nourish that particular area, the part will be weakened or sickened overtime. It is recommended to unimpede the flow of energy through the body. You can try to live a lifestyle that is simple, healthy, and high thinking. You can practice breathing through meditation. If you find yourself sleeping too much, you should stop because it will impede your development. If you force yourself to go beyond your limits without enough rest, you will find it difficult to achieve inner peace. It is recommended to do your activities in moderation. It is when you tend to think in negative thought patterns that prevent you from reaching your full potential. They include beliefs as feeling that you don't deserve to be happy or there is no cure for your whatever ails you. Mental and emotions are the result of unexpressed or insufficiently express emotions and feelings. Anger can create blockages that can do great damage to both your physical and astral bodies. Anger can be overcome by developing a positive counter attitude of patience. 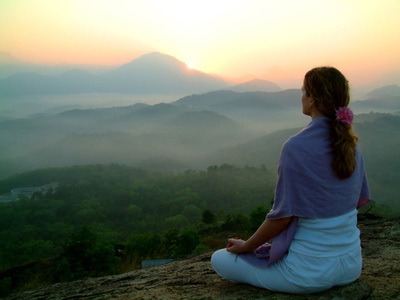 Meditation can decrease your anger and slowly change your values and perpectives. Depression can block your energy at any or all your chakras. It impedes the movement of energy flowing through your body and make you feel lethargic. Your outlook on life is a cloudy or rainy day. If you are depress often, you can meditate or go for a walk in the park and breath deeply. It can help release your mental and emotional blockages. It is an emotion that manifests in many form and can cause you feel your energy is frozen. You may experience fear of death, disease, or public criticism. You can overcome fear by devotion to a higher cause and cultivate courage which is opposite from fear. Sometimes being too analytical can create blockages in the flow of energy through your body. It affects the third eye and throat chakra. For example, you might think there is only one way of doing things. In a sense, you will think there is no choice of doing any other way. Once the blockage is in place, it will be difficult to overcome because you will think it is so logical. When you feel your expectations are unrealistic. You may find yourself doubting everything you do or think. Doubts like these can cause intellectual blockages. To overcome self doubt is to find people who have similiar interest and go on an enquiry. It increases the negative attitude of your mind and block you from finding inner peace. When you are thinking this way, you tend to get stuck, which block your energy channels. Don't be judgemental it is distracting you. Try to develop a habit of non-attachment. Karma is what actions you have done in the past. As a result of your actions, you can enjoy or suffer from. Try to create good actions so you can get good results. You need to break bad habits and replace with good habits. If you made a mistake, try to learn from it. Try not dwell in the past, but complete your goal in the present. You need to move forward. To overcome your karma is to do selfless acts and good deeds. It will neutralize your past bad karma.